This is not the story about a girl who dreamed of being a super hero, though i'm sure she has. This is also not the story of a cosplayer making a costume so awesome we geekfreaked the hell out, though we have (hnng Gamora). This is the story of Maki Roll, who woke up today ready to give a hearty middle finger to a world constantly screaming "All Lives Matter!" and found out she was the new Iron Man. Live that dream lady. Of course, in the official press release, you'll find no mention of Maki, but pictures don't lie. LOOKIT!! The Marvel Universe stands divided. As those who once stood together now stand apart, new heroes will rise to answer the call. 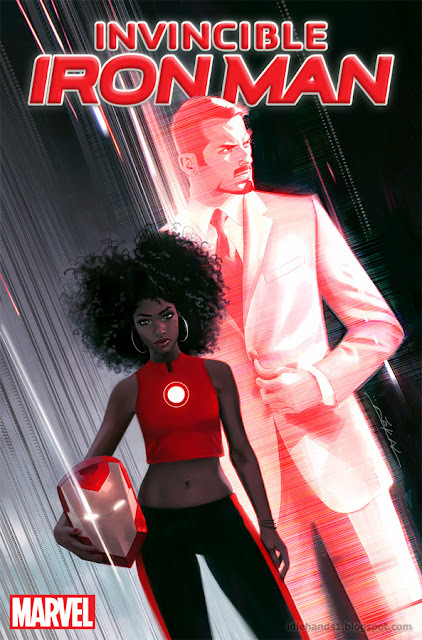 This Fall, a new armored avenger suits up in INVINCIBLE IRON MAN #1 – a new series launching as part of Marvel NOW! 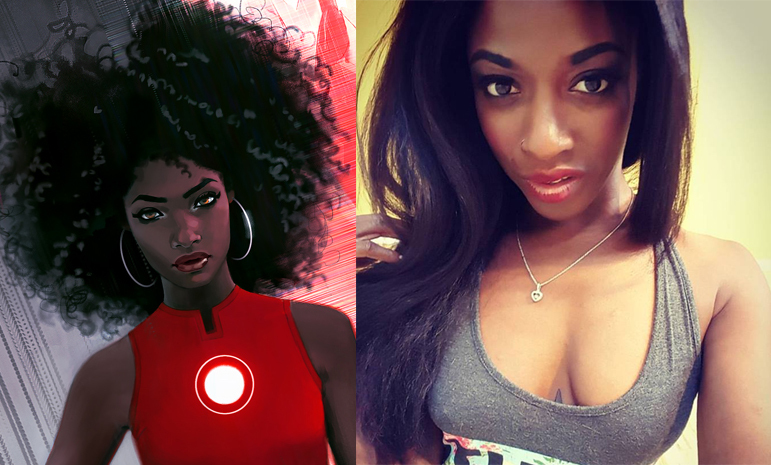 Superstar creator Brian Michael Bendis welcomes incoming artist Stefano Caselli to the ongoing adventures of Marvel’s newest leading lady – Riri Williams! WTF are you even talking about? Can you post an actual pic to show how this cosplayer and this Iron Man are similar? Or are you just saying that all black people look alike? It's like word salad up in here. Anonymous, she does look like the character, probably 500 people thought so on facebook, and we thought that was awesome. It's funny and it's fun and who cares but you?